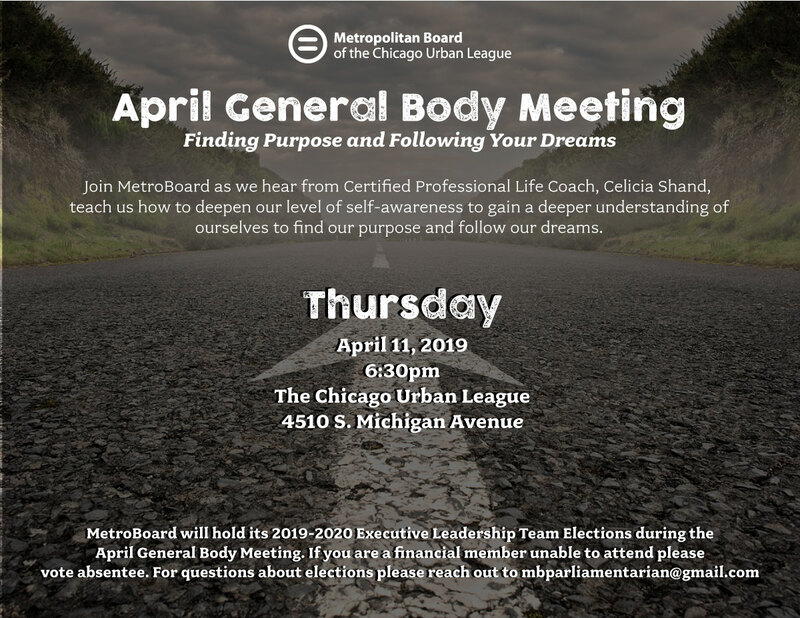 MetroBoard will hold its 2019-2020 Executive Leadership Team Elections during the April General Body Meeting. If you are a financial member unable to attend please vote absentee. For questions about the election please reach out to mbparliamentarian@gmail.com. Join MetroBoard as we hear from Certified Professional Life Coach, Celicia Shand, teach us how to deepen our level of self-awareness to gain a deeper understanding of ourselves to find our purpose and follow our dreams.